Elusive Asian “upstream suppliers” are once again shoveling coal into the Apple rumor furnace. This time, Taiwan-based DigiTimes is reporting that a “small volume” of components for a 15-inch “ultra-thin notebook model from Apple” have begun shipping to the company’s manufacturers. The new MacBook may arrive as early as the second quarter of 2012. Mass shipments of the device are said to begin in March. According to the report — which should be taken with a dash of your favorite salt-based seasoning — the new MacBook will be part of the either the MacBook Air or MacBook Pro lines. Currently, Apple produces MacBook Air models in 11.6-inch and 13.3-inch sizes. Current sizes of the MacBook Pro line include 13.3-inch, 15.6-inch and 17-inch. DigiTimes notes that, if the device is to be part of the MacBook Pro line, which have optical drives (something the MacBook Air lacks), then the laptop may not arrive until “a later time” due to the technical limitations of packing an optical drive into a machine that measures just 0.8-inches thick. As The Next Web reports, this is the second rumor in only a few weeks that Apple has a 15-inch MacBook Air in the works. The earlier rumor comes via Japanese website Macotakara.jp. It’s difficult to know at this point whether the device — if it exists at all — will be branded as either an Air or a Pro. But if it’s thin and powerful, we doubt customers will really care either way. 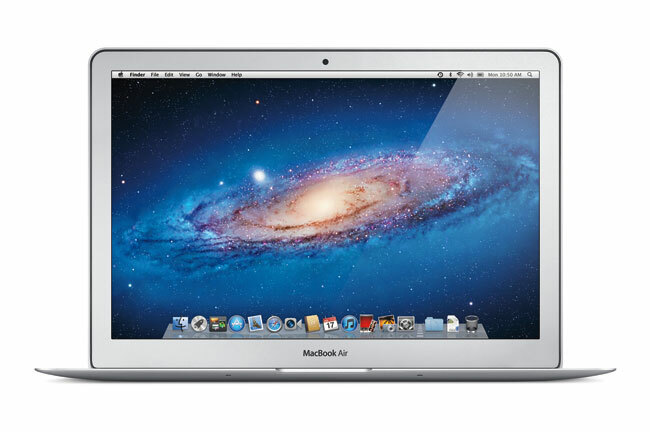 Launched in 2008, the MacBook Air line has become increasingly popular. While the original Air was hampered by its relatively weak computing power, along with an unattractive $1,799 price tag, the latest MacBook Airs are far more powerful, and can be had for as “little” as $999. According to Apple Insider, Morgan Stanley estimates that MacBook Air now accounts for about 28 percent of Apple’s notebook sales, so it’s really no surprise that the company would want to build upon that success by offering a new model with a larger screen.